This high performance temperature probe features adjustable resolution and a 1-wire interface an it is capable of measuring the temperature in wet conditions. 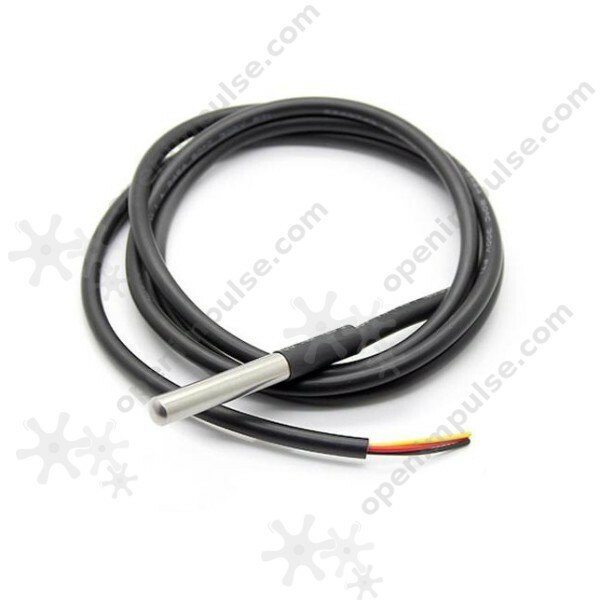 This is a reliable temperature sensor that provides 9 to 12-bit adjustable sensitivity temperature readings using a 1-wire interface. It is waterproof, moisture proof, and anti-rust, featuring an encapsulated high-quality stainless steel tube.